Coming near to the festive occasion, we have gone through a number of candies to group into best and worst categories. The ones in the worst list were once in the favorites. So, as the day is approaching quickly, we have a ranking of most of the candies. Like everyone, we have also made a list of the same. As you are also a wiser person, so you can correct us with your opinion and rankings because everybody’s taste is a little different from others. It will be used to evaluate Halloween greatness. To give ranks to the candies, we have used the following criteria. The list of 10 best and 10 worst candies on Halloween are graded on the basis of its awesomeness by how it will be received by another person as a trick or treat. These are independent of sizes. Get started to see the list of candies in bottom ten. Dishonorable mentions: Starlight mints, Wax Lips, Hershey Kisses with Almonds, any lollipop. 10. Fireballs – because of the hot cinnamon candies appeal. 9. Jolly Ranchers – These are fine elsewhere but not as a Halloween candy. 8. Smarties (Down 2) – It is an occasional one to eat. However, a large proportion of American will still use it. 6. Dum Dums (Up 2) – Even though, they are not terrible, still Dum Dums they should not be in a candy bag. 5. Twizzlers (Up 4) – These are bad as need to gnaw them. Moreover, they are hard and don’t taste like any sweet. 4. Dots – Candy is stucked to the paper. 3. Whoppers – Only chocolate is good. It makes malt chocolate awful. 2. Bit O’ Honey – These are mainly found on carpets stucked to them. Now, it is the turn for the top 10 best. Let’s start with the candies which have been removed from this list. OUT: Butterfinger – It is solid but lacks identity. OUT: Milk Duds – These are hard to chew. OUT: Tootsie Fruit Rolls – Seriously, this should be out of the list. Honorable Mentions: Milky Way, Airheads, M&Ms, 3 Musketeers, Lifesaver Gummies, Crunch Bar. 10. Starburst (New) – It is one of the most popular Halloween candies in Massachusetts. It can be considered as one of the top contender in fruit based candies. 9. 100 Grand (New) – It will never disappoint you if you have it in your bag. 8. Peanut M&Ms (New) – Delicious and have ease to eat and gives a refreshing change with its texture and nuttiness. 7. Twix – Caramel, chocolate, cookie, cool shape. 6. Baby Ruth (Down 4) – Good one but below snickers. Flawed so out of top 5. 5. Skittles (Up 1) – You should have it at least once. 4. Take 5 (Up 1) – It’s a complete package with salty / sweet combination. As of now, Sea salt is the most popular in this category. 3. Reese’s Peanut Butter Cups (Up 1) – The ultimate piece of combination of chocolate peanut butter. Use it with bright, inviting and PB cups to do the trick. 2. Snickers (Up 1) – It has been a consistent contender here. Crust it with caramel / nougat / peanut / chocolate combo. To do the trick, use peanut allergies. 1. Kit-Kat – It is the best Halloween candy. It doesn’t need any trick to do the work. It has got all the required flavor and crunch in the appropriate amount. Have fun. 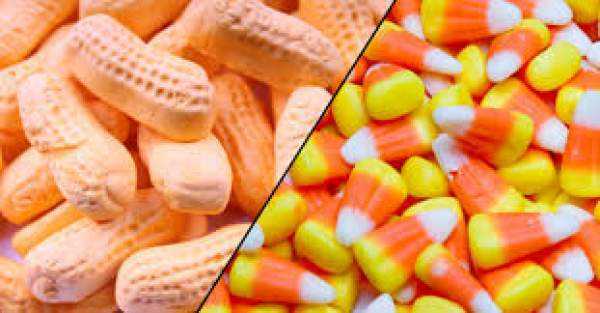 Do let us know if you have some other in your Halloween Candies 2018 list. Share it using our commenting section below. 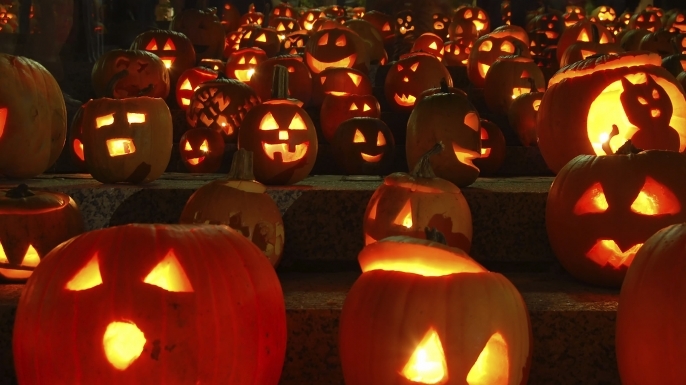 stay tuned for more Halloween news and updates. Don’t forget to share.